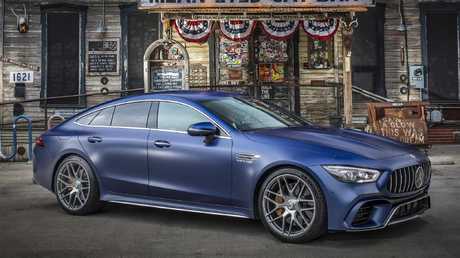 Mercedes-AMG GT 63 S 4-Door. Mercedes-Benz is muscling up with a new manic four-door coupe. The German brand has revealed its new AMG GT 4-Door, a direct competitor to the Porsche Panamera Turbo. The 4-Door pair will join the two-seat, two-door GT coupe and convertible variants in Mercedes' local line-up. The flagship GT63 S 4-Door is powered by a 4.0-litre twin-turbocharged V8 (470kW/900Nm) matched to a nine-speed auto driving all four wheels. 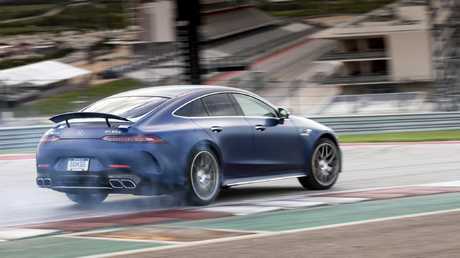 That stupendous grunt propels the GT63 S 4-Door from rest to 100km/h in 3.2 seconds. The AMG GT 4-Door adds practicality to its flagship performance range. Buyers will have to shell out $349,900 (before on-road costs) to get into the driver's seat. But if that sounds like a stretch there is a less expensive version, the GT53 4-Door. The GT53 shaves $100,000 off the price of the GT63 at $249,900 (before on-road costs). Power for the GT53 comes from an inline six-cylinder twin-turbo (320kW/520Nm) that benefits from mild hybrid technology - it uses a 48V boost starter to add an extra 16kW. The GT53 hits 100km/h from a standstill in a comparatively pedestrian 4.5 seconds. AMG boss Tobias Moers believes that the 4-Door brings some practicality the brand's flagship performance range. "The new AMG GT 4-Door Coupé blends the impressive racetrack dynamism of our two-door sports car with maximum suitability for everyday use. 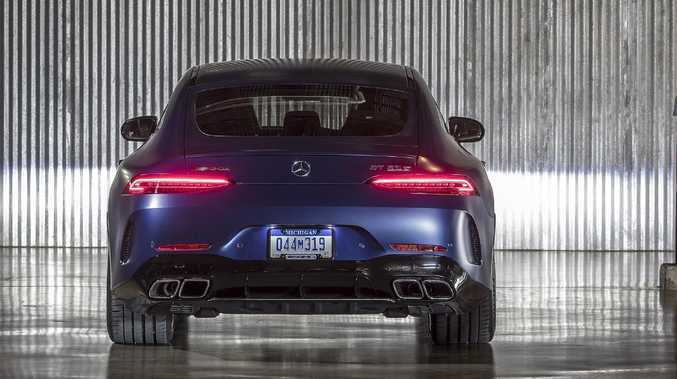 It has a unique way of embodying our brand core, Driving Performance, and ... will attract new customers for Mercedes-AMG," says Moers. The GT63 S 4-Door can sprint to 100km/h in a claimed 3.2 seconds. But the GT53 has a greener focus with the smaller, mild hybrid set-up reducing thirst to 9.1L/100km compared to 11.3L in the GT63 S - both respectable claims given the performance on tap. Standard safety kit includes autonomous emergency braking, blind spot warning, lane change assist and steering assist. The interior is a truly luxurious space. The interior is dominated by a large digital screen that combines the instruments and infotainment screens. Seats and steering wheel wrapped in leather and a 14-speaker audio add to the luxury feel. The AMG GT 4-Door will land in showrooms mid-year.